With many children going back to school in August, now is the perfect time to focus on the critical link between vision and learning. When his parents voiced their concerns that their child wasn’t reading, his pediatrician explained it away by saying he was “a precocious boy” while and his teachers used words like “energetic” and “active”. His reluctance to read was deemed a behavioral issue and generally disregarded. After such dismissal and apparent unconcern over what was deemed a case of excess energy, Jude’s parents never expected a vision problem would be to blame. In the past, Jude had been diagnosed with farsightedness, amblyopia (“lazy eye”), and astigmatism by a reputable pediatric ophthalmologist. He was prescribed glasses and his parents were advised that future patching treatment might be necessary. Trenna “thought his vision was ‘fixed’”. Eye coordination and eye focusing problems can make learning difficult; they can make the words appear blurry, double or look like they are moving. But fortunately children don’t have to struggle! Research from the last 20 years has clearly shown that problems with eye coordination and eye focusing are common and can be effectively treated with Optometric Vision Therapy. It is important to see the right health care professional. 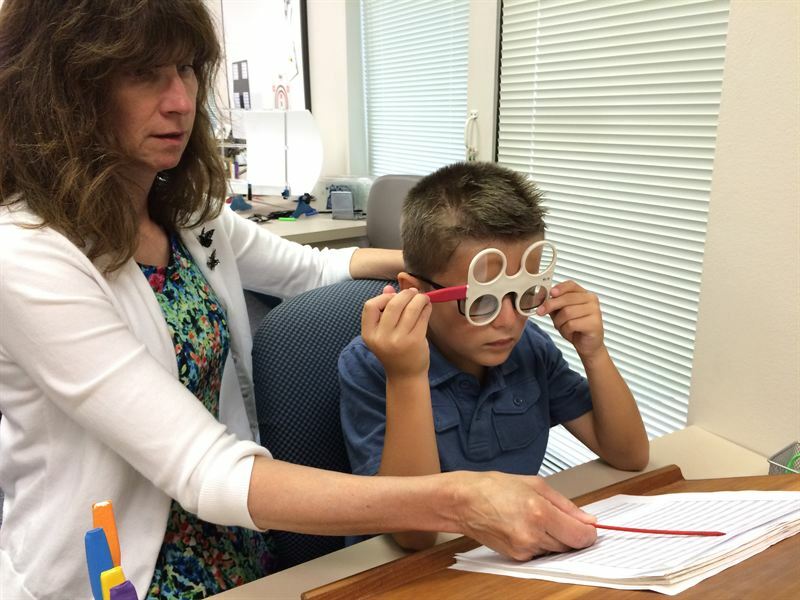 The majority of vision screenings performed in schools and pediatricians’ offices are not designed to test for problems with eye coordination, tracking, or focusing. In fact, vision screenings miss at least 50% of vision problems. In addition, general eye exams often do not thoroughly evaluate all the visual skills required for academic success. 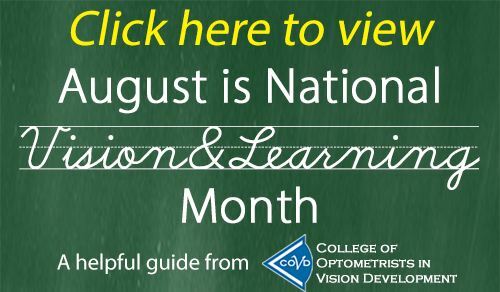 For more information about the critical link between vision and learning and a more in-depth checklist, visit covd.org.